Now playing with half the controller might be a bit more comfortable for some. Welcome to a new type of article I’d like to call IRL DLC (In Real Life Downloadable Content), where we look at cool and nifty things on the internet that some people might like to download and use. 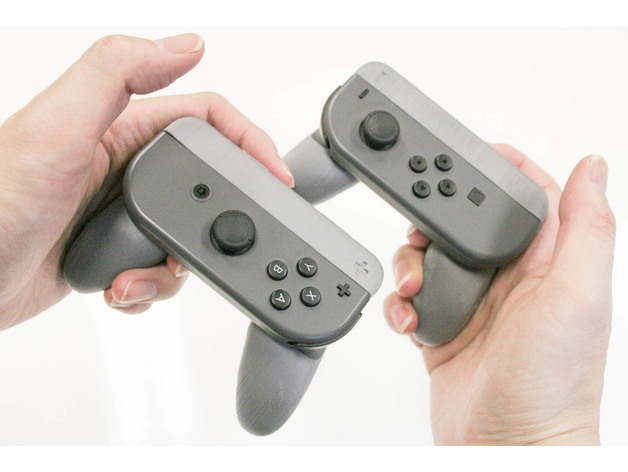 This time around: A 3D printable Single Joy Con Grip for the Nintendo Switch. For some of us, when we want to play some 2-Player Mario Kart, we have to split the only controller we have. And some of us may not like going from having the nice controller grip, to having to hold a single half. This may solve that problem, providing a controller grip for when you need to split the controller in half.